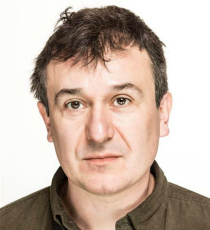 Daniel Cerqueira is best known for playing Weller in Saving Private Ryan and Keckwick in The Woman in Black, and for television roles such as Dr. Graves in The A Word, Gordon Ward in Doctor Foster and Memmio in Rome. Daniel’s stage credits include Game (Almeida Theatre), Fortune’s Fool (Old Vic Theatre) and Table (National Theatre). His recent TV credits include Strike Back (2018).